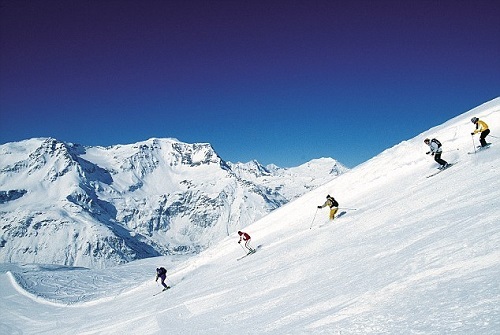 When it comes to skiing you’re either going to be a recreational skier, advanced or an expert. It’s important that you know your level before you start shopping. If you’re new to the sport you could end up paying far too much for skis and bindings that you really don’t need. So how can you work out what level you are? You are gaining confidence and can finish turns with parallel skis but you still stick to the green and blue runs. You’re aware of the safety equipment you need to use and why. This related site explains more. Buying the right skis can be extremely daunting especially if you’ve never bought any before now. If you’re getting ready to head out for some winter fun it’s essential that you make some good buying decisions. It’s always worth reading through the description of the skis before you make the purchase. Buy the right type for your needs, freeride skis need more stability than piste skis and therefore they should be between 5 and 10cm longer than usual skis. Mountain skis are longer still, between 5 and 20cm, and are designed to help keep you stable if you want to head off-piste. 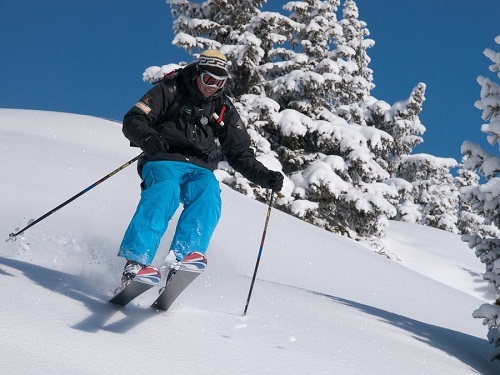 Shorter skis are used if you want to attempt slalom skiing and freestyle skis are the same length as the piste skis. 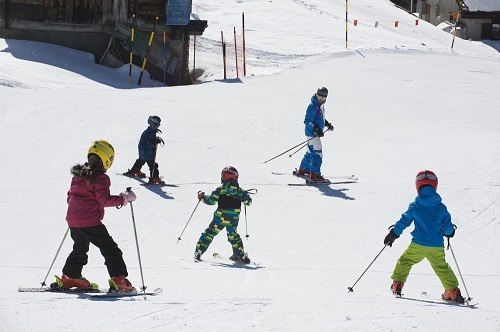 To help your child gain confidence on the slopes it’s always worth spending out on some professional coaching. The instructor will be able to ensure your child develops good basic techniques and prevent the formation of bad habits. You will need to look after your skis once you’ve purchased them. Buy a good wax that will help improve your skills and ensure the edges are kept sharp so they’re able to cut through the snow smoothly. The best type to buy is the hot wax as it will protect the base from dents and scratches plus it works hard to regulate the water under the skis. If you are not buying new equipment it could be worth having your current skis serviced before you go. There are plenty of technicians that offer servicing and it will be a worthwhile spend. Equipment that is in poor condition can ruin the entire experience for you, making it harder to enjoy the slopes and could put you at risk. Remember this if you plan on borrowing equipment too, you should check over everything to ensure it’s in suitable condition. Buying new equipment can be costly but you can save money by shopping on Boxing Day and in the sales that lead into the New Year. You will find the best outdoor gear at incredibly low discounted prices if you hold off and wait for these sales. Ben Brown is a passionate skier with many years of experience sharing his experience and knowledge with readers from all over the world. Buying the correct outdoor gear is as important as receiving excellent coaching on the slopes. This entry was posted in Skiing, Winter Sports and tagged Black Run, Blue Run, Children, Extreme Sports, Green Run, Ski Level, Skiing, Skiing Ability, Winter Sports. Bookmark the permalink.